The answer to your commuting woes. 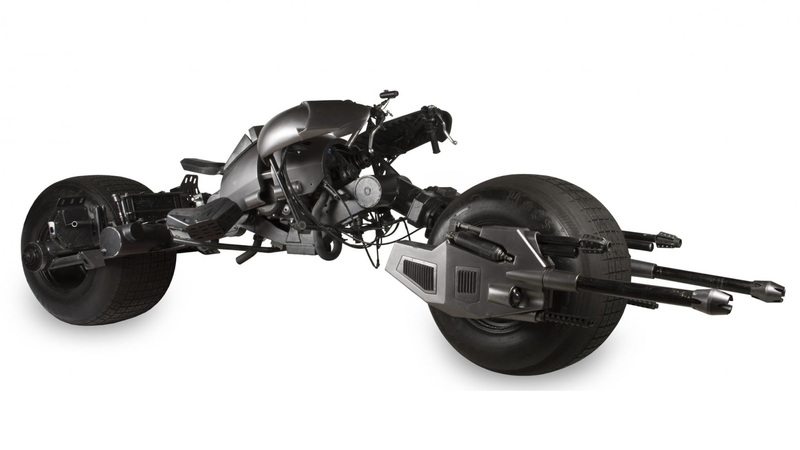 Remember the Batpod from The Dark Knight; that motorcycle thing that pops out of Batman's Tumbler? Well, you can have it, if you want. That is because one of the original six pods made for the film is going up for auction later this month in London thanks to Prop Store. Oh, and it will probably only set you back £80,000. The item is listed as "well used" according to the auction's website, caused by damage which occurred during filming. Those 31 inch tyres (we know, right?) 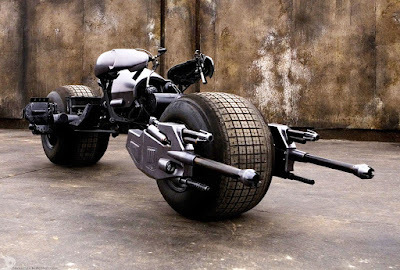 are attached to a custom body with fibre glass panels and plastic machine guns up front. Aww, only plastic? It is also listed as being in a "rolling only" condition, with some vital parts of the Honda 750 engine having been removed. So even though you fork out £80K, you still won't be able to immediately dash out and fight crime. You'll be able to roll out, slowly. But hey, if you borrow this guys suit, you'll certainly look the part.